This is a kind of super grade color changing flakes, also called chameleon flakes or chromeflair flakes, it is very thin flakes with color changing effect if you see it from different angles, it is also similar to liquid crystal flakes, its advantage to liquid crystal flakes is that its powder form color is not white, it is colorful. 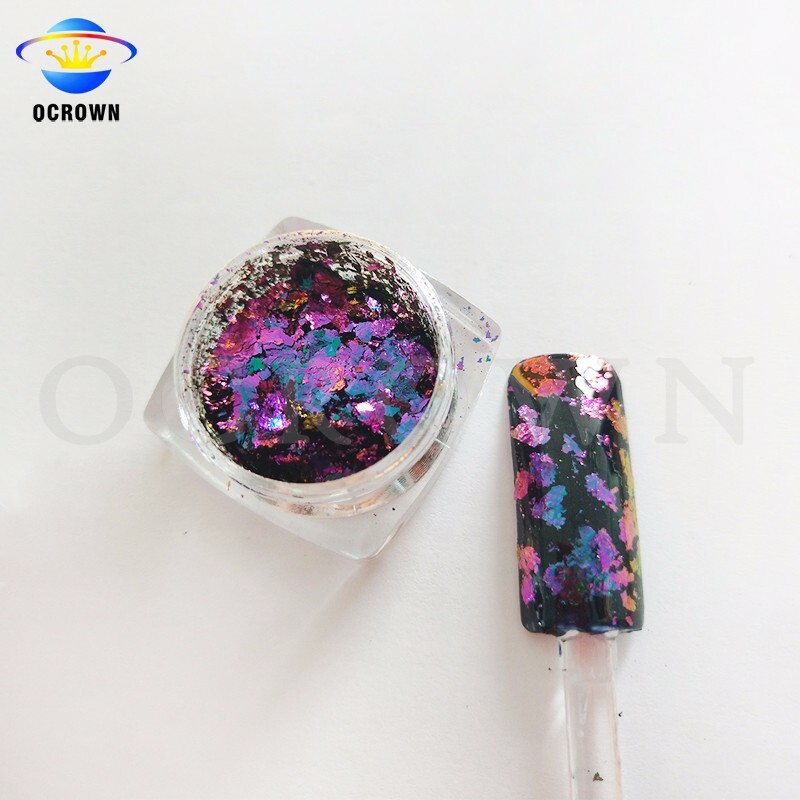 The chameleon Flakes are widely used for cosmetics industry, especially for nail art. With various colors choice and wonderful color shifting effect, such flakes are popular with customers.